Our Mousemats, Drinks Coasters and Desk Pads are popular products that are commonly ordered for the start of the New Year. Businesses often choose to incorporate a 12 month calendar into their design, making them a useful office commodity. Not only can they be used in your own office space but they are great products for giving out at exhibitions, trade fairs, or to existing clients. 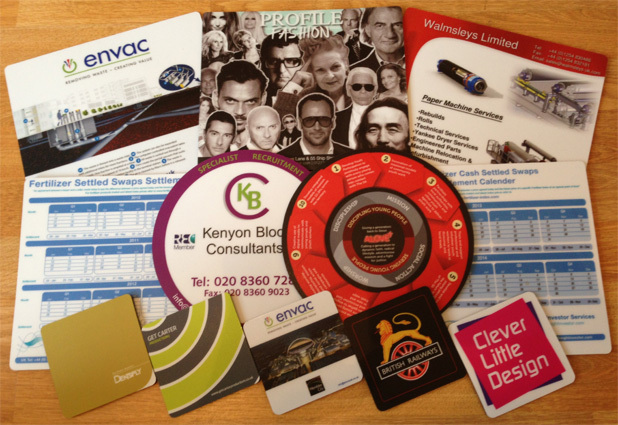 Printed with your company branding and contact details they are sure to be retained and serve as a subtle but effective marketing tool for your business throughout 2014. All 3 products are available in a selection of sizes and quantities and we offer some very competitive prices, not forgetting free delivery on all orders!